Sketch of the timeline of the Universe in the ΛCDM model. 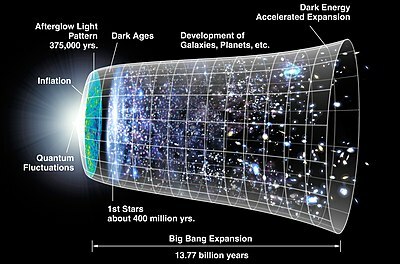 The accelerated expansion in the last third of the timeline represents the dark-energy dominated era. Lambda-CDM, accelerated expansion of the universe. 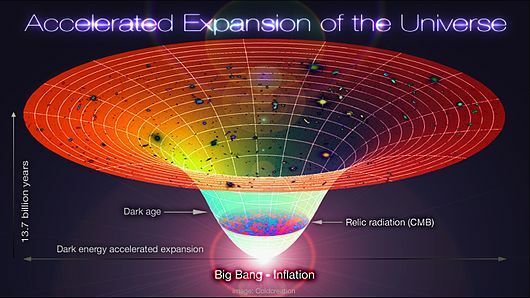 The time-line in this schematic diagram extends from the Big Bang/inflation era 13.7 Byr ago to the present cosmological time.